Hara, a leading provider of environmental and energy management software, announced that it has received $25 million in Series C funding, the company’s largest round, bringing total investment to $45 million. Participants include Energy Technology Ventures, a joint venture of GE (NYSE: GE), NRG Energy (NYSE: NRG) and ConocoPhillips (NYSE: COP), and ITOCHU Technology Ventures (ITV), as well as existing investors Kleiner Perkins Caufield & Byers (KPCB), JAFCO Ventures and Nth Power and new backers Focus Ventures and Navitas Capital. The funding will allow Hara to accelerate global expansion and product innovation, to meet growing demand from Fortune 1000 companies and government agencies for solutions to help optimize energy and resource use while minimizing environmental impact. Hara is adding new strategic investors as it advances its growth plans across industries including manufacturing, utilities and oil and gas. These investors include – through Energy Technology Ventures –world-renowned advanced technology, services and finance company GE; ConocoPhillips, the third-largest integrated energy company in the U.S.; NRG Energy, owner and operator of one of the largest power generation portfolios in the nation; and ITV, the venture capital arm of leading Japanese trading group ITOCHU which has also entered into a strategic partnership with Hara to serve clients in Japan. The funding supports Hara’s global focus as an industry leader and is a testament to the adoption, comprehensiveness and scalability of the Hara™ Environmental and Energy Management (Hara EEM) solution. Hara, which has secured more than 50 leading industry and government customers and demonstrated rapid innovation, was selected as a winner of the GE Ecomagination Challenge’s “Powering the Grid” program. The Ecomagination Challenge demonstrates GE’s global commitment to accelerate the development and deployment of innovative power-grid technologies through open collaboration, while providing financial support to develop and commercialize innovative technologies. Hara’s centralized management and decision making solution will enable the identification of innovative energy reduction and management technologies and capture related best practices, including those of other GE Ecomagination Challenge winners. KPCB managing partner Ray Lane joins Hara’s board of directors as chairman, where he will work closely with the leadership to drive the company’s global expansion. Lane brings more than 20 years of experience guiding the world’s top IT companies. Prior to joining KPCB in 2000, Lane served as president and chief operating officer of Oracle Corporation, where he oversaw multi-billion dollar revenue growth and core business expansion. Nordex has won the largest order awarded for an onshore wind project in Sweden to date: as of summer 2012 the turbine manufacturer will be building “Blaiken”, a 150 MW wind farm. The customers are Skellefteå Kraft, a leading energy supplier in Sweden and Fortum, one of the largest power utilities in Europe, based in Finland. Skellefteå Kraft and Fortum have placed a firm order for 60 turbines for “Blaiken” thus accelerating the originally intended call-off schedule of themaster agreement entered into last year. The N100/2500 machines will be fitted with Nordex’ new anti-icing system for rotor blades. The successful development of the anti-icing system was a key criterion for the order. 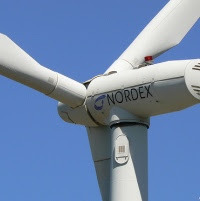 Nordex designed this system especially for sites where there is a risk of ice forming on the rotor blade. This can result in substantial production losses. An integrated heating system now prevents icing, thereby maximising the yield. In autumn 2010 Nordex installed the first N100/2500 turbines with anti-icing in “Jokkmokksliden”, the forerunner project to “Blaiken”. The wind turbine manufacturer tested and optimised the system on the basis of three prototypes and one reference machine. “The cost-benefit ratio of anti-icing persuaded us to have all the turbines equipped with this innovative system,” says Risto Andsten,Vice President Renewable Energy, Fortum. “Our new anti-icing system is the result of collaboration between different functions within our company, and we are pleased to now see the system put into commercial operation on one of thelargest projects in Europe. We are now able to offer an attractive option for all customers planning projects at locations with ice and frost,” says Lars Bondo Krogsgaard, Chief Sales Officer at Nordex SE. David Folz of the Wisconsin Department of Commerce offered opening remarks and stressed the need for Wisconsin businesses to be innovative and creative like the award winners. Kevin Crawford, Senior Vice President of Governmental Affairs and Corporate Communications accepted the award on behalf of Orion Energy Systems. “Orion’s success comes from its founder and CEO’s vision and commitment,” remarked Crawford. “Neal Verfuerth is an innovator who knows how to bring product to market. He’s also committed to hiring the best talent possible and ‘bolting’ that talent on to the Orion machine,” Crawford continued. Crawford also praised the company’s philosophy to exceed customer needs quickly and adeptly. 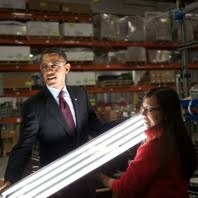 “Orion’s innovative solutions can help a company substantially cut its lighting costs. With lighting being typically 35 percent or more of a company’s total energy spend, reducing these costs impacts the bottom line in a big way,” stated Crawford. “Orion has achieved ‘grid parity’ for its 266,000 sq. ft. state-of-the-art advanced manufacturing facility. There is no reason that the last power plant built in the United States shouldn’t be the last power plant built in the United States,” Crawford concluded. Orion Energy Systems has accumulated numerous awards to date including the Platts Global Energy Award, Alliance to Save Energy Super Nova Award, Plant Engineering Product of the Year Award, and Wisconsin Manufacturer of the Year Award among others. Corporate Report Wisconsin teamed up with the University of Wisconsin-Oshkosh College of Business and DiRenzo & Bomier, LLC as sponsoring judges of the competition. Vestas has received a 102 MW order for 34 V90-3.0 MW turbines for a wind-energy project in Tehachapi, California, USA, owned by Brookfield Renewable Power (“Brookfield”) and Coram California Development Management, LLC (“CCDM”). The contract includes delivery and commissioning along with a two-year service and maintenance agreement. Delivery is scheduled for the second half of 2011 and commissioning is expected in late 2011. 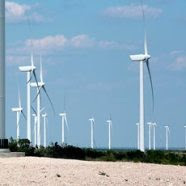 This project will provide direct and indirect economic benefits to Kern County with long-term jobs and property-tax revenues generated from the turbines. Brookfield recently began construction of the Granite Reliable Wind Project in New Hampshire, which is using 33 V90-3.0 MW turbines from Vestas. Once this California project is finished, Vestas will have 1,255 MW of its industry-leading wind turbines throughout the state. Wells Fargo & Company (NYSE: WFC) and SunEdison LLC, a subsidiary of MEMC Electronic Materials (NYSE: WFR), announced an agreement by which Wells Fargo subsidiaries will invest up to $120 million to fund U.S. solar photovoltaic distributed generation power projects developed by SunEdison over the next year. The program builds on a SunEdison solar investment fund established in 2007 in which Wells Fargo invested more than $200 million in approximately 150 solar projects developed by SunEdison in eight states. "Wells Fargo is excited to continue our relationship with SunEdison and expand our commitment to grow the U.S. solar market," said Barry Neal, head of Wells Fargo'sEnvironmental Finance Group. "The solar projects developed by SunEdison will help businesses and public entities better control their electricity costs, while expanding the use of renewable energy throughout the U.S."
Financing provided by Wells Fargo will enable SunEdison to cost-effectively provide a clean and reliable source of electricity to its customers, including corporations and municipalities. Under the power purchase agreement (PPA) model, SunEdison builds, manages, and operates the solar systems while its customers buy the energy produced at prices at or below retail rates. This allows customers to avoid upfront costs typically associated with solar projects. "SunEdison makes investing in solar a smart choice," said Chris Bailey, SunEdison vice president of Project Finance, North America. “SunEdison has the experience and know-how that project investors and customers trust. SunEdison looks forward to growing its relationship with Wells Fargo as we continue to make solar a reality for our customers across the nation." SunEdison, a leading worldwide solar energy services provider, has deployed over 400 solar projects totaling over 160MW in North America, and has developed over 100MW outside of North America. Wells Fargo has provided more than $2 billion in tax equity financing for renewable energy projects since 2006, including funding for 30 wind projects, over 200 commercial-scale solar projects and one utility-scale solar thermal project. Nichols School in Buffalo, NY, uses QA Graphics’ Energy Efficiency Education Dashboard to show real-time energy usage for the campus to educate the students about the school’s sustainable initiatives and efficient resource use. QA Graphics®, provider of the award-winning Energy Efficiency Education Dashboard®, has created an educational display for Nichols School in Buffalo, New York, to help inform students about the campus’ sustainable initiatives and efficient resource use. Nichols School, a coed college preparatory independent school serving students in grades 5-12, was named the winner of QA Graphics’ 2010 “Showcase Your School’s Green Efforts” contest. QA Graphics had called on schools nationwide to share why their school is sustainable, and worked with the national U.S. Green Building Council (USGBC) to reach out to state USGBC chapters for contest support and judging. Then, the public cast their vote to decide which school should be awarded with QA Graphics’ Energy Efficiency Education Dashboard, an interactive display the school can use to educate about sustainability and the environment. The Energy Efficiency Education Dashboard serves as another means to encourage this environmental awareness. Displayed on a touchscreen in the Class of 1963 Center for Mathematics and Science building, it illustrates the campus’ efficient resource use and sustainable initiatives. Students can walk up to the display and see how much energy each of the six buildings on campus is using. A leaderboard also shows how each of the building’s resource use compares to one another. The Energy Efficiency Education Dashboard is also available online for parents and the community to access. It can be viewed at: http://eeed.nicholsschool.org/eeed/. Enecsys Limited, the leader in reliable, long-life solar micro inverter systems for residential and commercial applications, has secured a further £25 million ($41 million) in equity financing to invest in its growth plan. 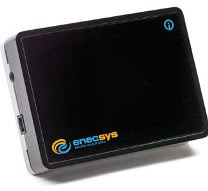 Enecsys was founded in 2003 and its patented technology was originally developed at Cambridge University in the UK. Solar inverters convert the DC power produced by solar photovoltaic (PV) modules into AC power for supply to the electricity grid. Enecsys micro inverters are installed on the rail behind solar modules, either one inverter per solar module or one for every two modules. The Enecsys micro inverter represents a breakthrough in inverter design for residential and commercial solar PV installations as its technology has, for the first time, eliminated components that limit inverter life. Additionally the Enecsys micro inverter enables solar PV systems to harvest between 5% and 20% more energy; it makes planning and installation of PV systems easier and safer due to the elimination of high voltage DC wiring, and it enhances system optimization by monitoring the performance of each solar module. Enecsys has recently launched its products in Europe and North America and the latest financing has been arranged to facilitate substantial expected growth. Climate Change Capital Private Equity led this Series B equity financing with an investment of £11 million ($18 million). The balance, £14 million ($23 million), was secured from the existing Enecsys investors, Wellington Partners, NES Partners (formerly known as Bankinvest New Energy Solutions) and Good Energies, who together previously invested £8.5 million ($14.3 million) in Enecsys in a Series A financing in 2009. The latest financing round represents the largest private equity raise in the European cleantech sector so far this year.